Please find below, the terms and conditions of purchasing one of our lifetime memberships. From here on in, the terms we, us, and website, shall refer to this website, named UK Security Directory, located at www.uksecurity-directory.co.uk. The terms you, directory users, and your business, shall refer to yourself or your company as a customer and directory listing purchaser with the UK Security Directory. Our lifetime directory listing promotion shall run from 10:00 (GMT) 24 November 2014, until 23:59 (GMT) 07 December 2014. Our lifetime directory listings are guaranteed for the lifetime of the website. The lifetime of www.uksecurity-directory.co.uk is also guaranteed for a minimum of 10 years. During our 14 day offer all categories will fall under one fee, instead of usual fees being charged per category. This means that if you sign up for our lifetime plan, you can list your company in as many categories as you need. You must not list your company in a service category that you do not provide, and all listing requests will be manually verified. We do not offer refunds except for in cases where we have failed our guaranteed services. If the website is offline for more than 6 months or is closed before the 10 year guarantee, we will offer a full refund. Customers seeking a refund should use our contact form to get in touch. Silver listings are guaranteed to be added to our database within 7 days and include 2 images, 350 character description, company name, phone number, company website, location data and Google map. Silver listings appear above our free listings within the directory but below Featured Listings. Featured listings are guaranteed to be added to our directory within 7 days and include 4 images, 450 character description, company name, phone number, company website, location data, Google map and your backlink is a “DO FOLLOW” link helping with your website SEO. Featured listings appear above our free and silver listings within the directory giving the best opportunity for being seen. Directory users who have previously purchased either a Silver or Featured listing can upgrade to a lifetime listing by sending us an email using our contact form during the dates of the promotion. Any fees that you have already paid will be deducted from your upgrade fee. For example: if you have already purchased a Featured listing for one category priced at £35 for the year, and want to upgrade to the lifetime Featured listing priced at £150, your total due for this upgrade shall be £115. We reserve the right to decline any upgrade requests that fall outside of the promotional dates. We reserve the right to update these terms and conditions at any time. Any updates will not affect any prior purchases. How Do You Keep Your Business Data Safe? 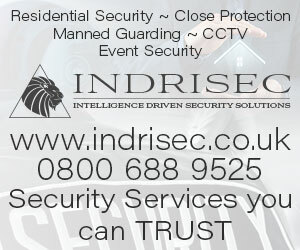 Offering over 1,100 combined security services!